With Sea Trials in the books, it’s time for #PlebesNoMore! My Mid during last year’s Sea Trials. How he’s smiling at this point is beyond me. I don’t have a Mid in the Class of 2021, but I’m still excited that they’ve completed Sea Trials and are steamrolling toward Herndon. If you’re not familiar with Sea Trials, here’s a link to the Academy’s official explanation, but I’d summarize it as 15 hours of reminding the Plebes that they are, for now, still Plebes. They get up early. Like really early – O Dark Thirty early. In fact, the early stages are called the dark phases. And then they run. A lot. The belly crawl through a mud trough with a helmet and rifle. They paddle the Zodiac boats up and down the Severn. They wallow in the shallows of the river. They execute the O Course, the E course … you name the course, they do it. And that’s just the beginning. It’s 15 hours of grueling physical activity. But there’s a joy to it, from what I’ve seen. Unlike Plebe Summer, where the Plebes are largely shell-shocked and unsure of themselves, Sea Trials sees a group of Plebes that see the finish line. They know the upperclassmen are not there just to torture them. They see Sea Trials for what it is, a rite of passage. C’mon, that’s pretty damn cool! For those who don’t know, the Company that “wins” Sea Trials is known as The Iron Company. This year, that coveted title belongs to 26th Company, which means they will lead the Class of 2021 in the Herndon Climb. It’s hard to believe another academic year is coming to a close. 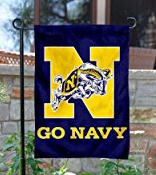 The Firsties are about to join the fleet and the Plebes, well, are ready to shout “Plebes No More!” And even as a parent of a Youngster (who will be Second Class once graduation is complete! ), I’m stoked about Herndon. So far, so good, Class of ’21! Bring on Herndon! ‹ PreviousThe Herndon podcast is live! The perfect bracelet for the Class of 2020!